This piece is outstanding!!!! !Your lucky, lucky swap partner (please be me, please be me). Oh my gosh I love seeing what you come up with. This is a wonderful piece! Good luck with your health! Ah, the table is a masterpiece! 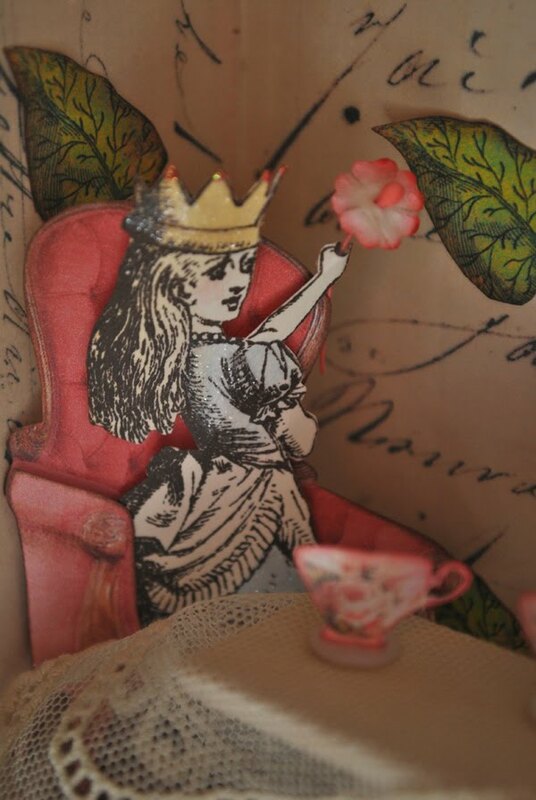 So pretty to sit at with a cup of tea, don't you think? 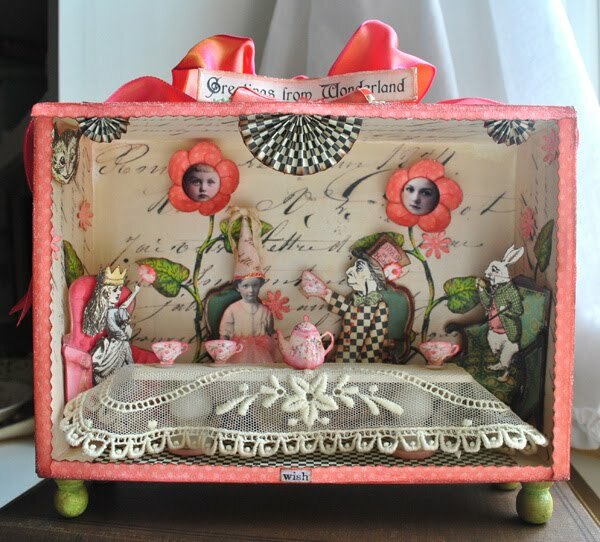 Terri, I adore this Enchanted Room. The details are outstanding...look at all those fun party-goers! The colors, the touches of black and white and your attention to the fine points are astounding. BRAVO my friend. PS...let us know how the appts go this week. Fingers and toes crossed and a BIG HUG! Oh my gosh, this is so darling. This is just adorable. I gotta have one like that. Totally awesome. I love this Terri! It is beyond wonderful. I will keep you in my prayers that you get good news from the Neurosurgeon. 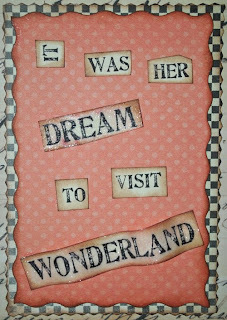 Terri, your Alice piece is fabulous. I love the colors you are playing with. I'm glad you are feeling better and getting some art time in. Hope all goes well at your next appt. I will be thinking of you. What can one say about such an exquisite collection which has blown me away and left me speechless! 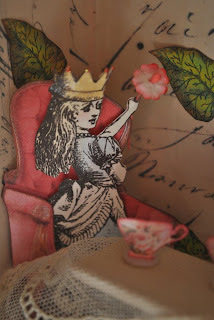 Terri, your Mixed Media Alice pieces are superb - perfect in every way - and so, so creative. A standing ovation from me! Very beautiful art work. Have a most wonderful new week filled with good news. Hi Terri, I loved your school and this is another gorgeous project! Your swap partner will jump for joy! Good luck with your doctor's appointment next week! 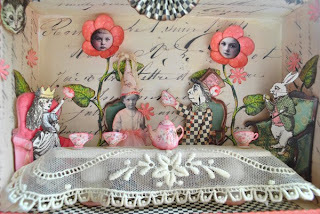 Dear Terri, the Alice mixed media and the Doll house and, and, and..... are just so creative and wonderful! I`m blown away and I truly enjoy seeing what you create!It´s such a pleasure. Thank you for sharing, I love these!!! Oh Terri, I LOVE your tea party! That is just so sweet. 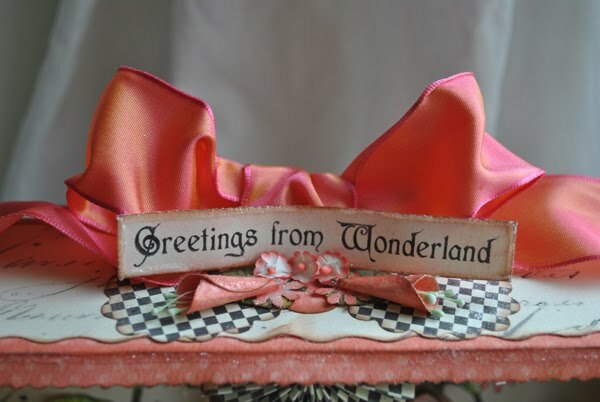 I love the pretty colors, and your detailing is so enchanting. I really want to try one of those. Your swap partner is going to love it. I hope you're feeling better. I'm glad you've been able to craft, that always makes me feel better. Ohhhh Terri this is just positively gorgeous!!! 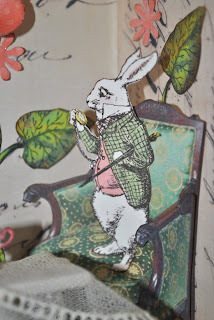 Absolutely love your little room.... Soooo wonderful to see your creativity return - you must be feeling a little better! Sooo hope it is indeed good news this week! Love seeing everything you have made! This is so unique and very cute! 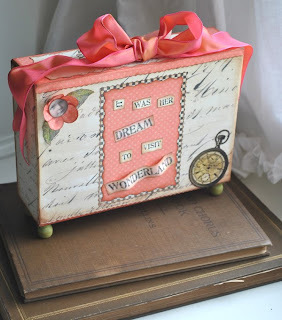 I wish I could create beautiful things like this! Take care and I hope the week is fabulous for you. this is breathtaking pretty. I love it. I wish you the best for your health. Lovely things that you have been crafting!! Glad to hear that you are feeling better and you will be in my thoughts and in my prayers when you go for your appointment. Hi Terri - I love, love this piece! You are so clever. Your swap partner will be very happy, I'm sure. I'm thinking of you as you visit the doctor this week. Take care! this is absolutely delicious! 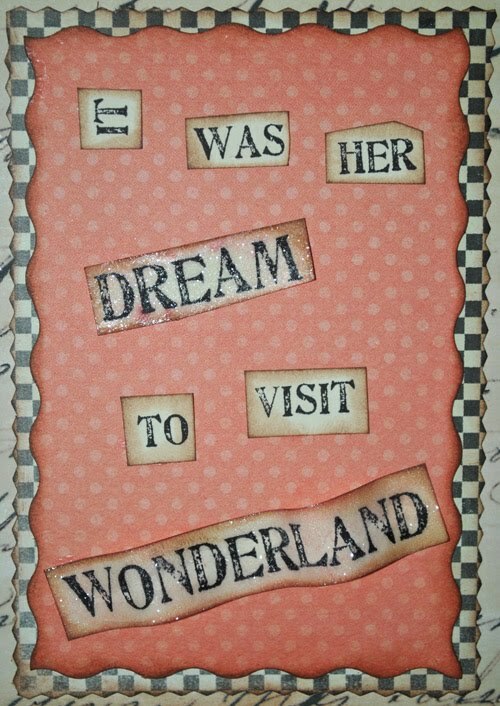 love the rubber stamp characters you used! I think you've put me in the mood to make one of these! Very unique!!! and just sweets as can be!! it really is a treasure of creativity...what you've done is terri - fic! This is an absolute delight! 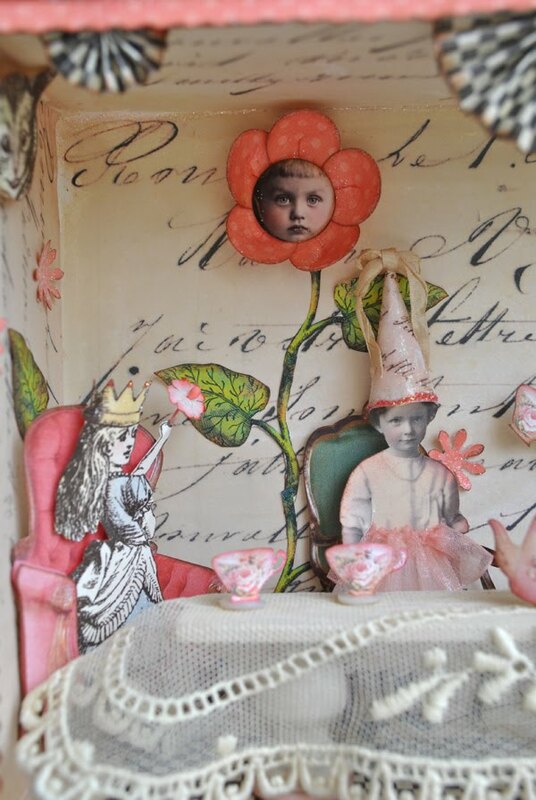 Your mixed media piece is charming and I'm thrilled you shared it with us. 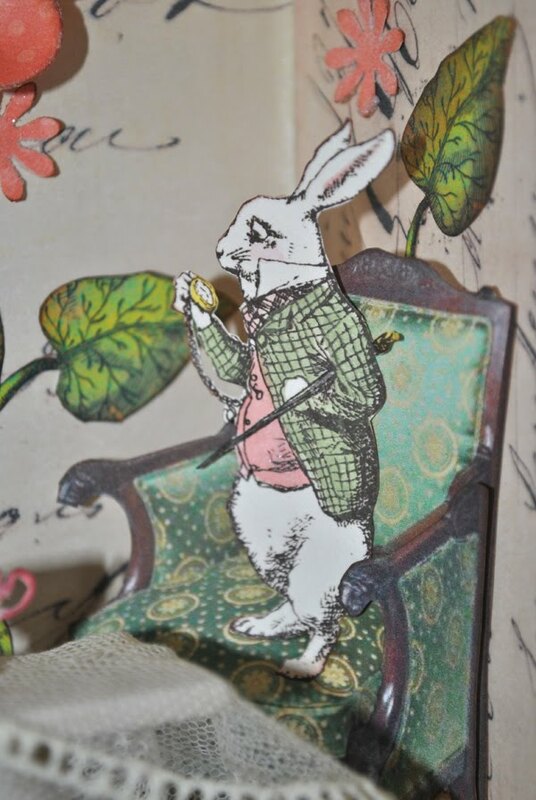 I'm going to check out your sources as I'd like to get some Alice in Wonderland images. Thanks! Oh Terri, I am swooning over this!! You absolutely amaze me - its just enchanting. terri-this is beyond stunning! really, truly stunning! Terri, you have such a gift for this sort of artwork. I'm glad you are exploring more of it. Oh! How absolutely wonderful! So happy I found your blog! Oh my Gosh Terri. wait while I pick my chin up off the floor, This is FANTASTIC! I'm so glad I popped over. I had forgot where I saw the flower tutorial. I'll add your info to my post! This is incredible! I'm in awe!! What a LUCKY swap partner! I read about your possible spine surgery & just wanted to let you know that I have added you to my prayers. Oh I just love this! How fun it must of been to create. 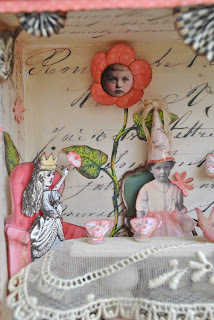 This is just one fabulous creative project.